Published On Wednesday, July 06, 2011 By Nicol T.
what do you think about the ring? I think is just needed in my jewelry box. 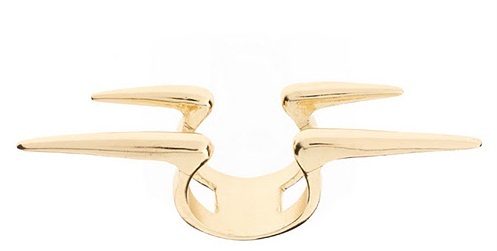 perfect, simple and a statement piece of jewelry that will pop-up or better say rock up every outfit! 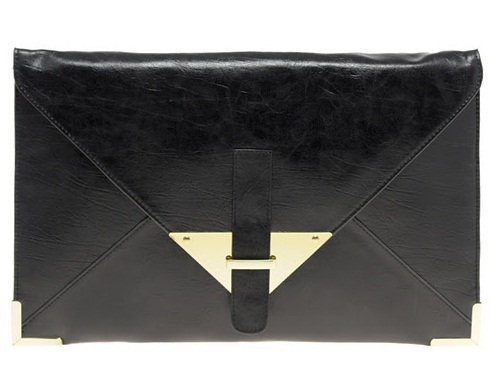 ooh these oversized portfolio clutch make me go crazy! 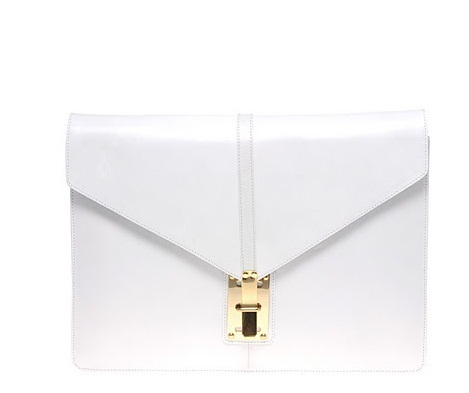 clean, sheer and crisp in white, which fits perfectly for it's form and make 'her' look more sophisticated! and I didn't buy it! damn it! instead of these beauty I I bought a similar one black, in the picture below! since I went to buy unexpected it is the price who ruled! black was a smart move. white one is amazing, but no way you could keep it clean! Even though I love both of them, I think you made an awesome choice. Black can easily be incorporated into any outfit. Oh, Christine from the blog Heart Made passed the Best Blog Award on to me and I got to choose 15 other bloggers to pass it on to. You were one of them hun. Check it out on my blog. I like this ring it's so original!